Cape Town - Cheetahs prop Maks van Dyk says the team is determined to deliver an improved performance when they face the Crusaders in Christchurch on Saturday. The Cheetahs have settled in nicely after their trip to New Zealand, where they will face the Crusaders in Christchurch and Chiefs in Hamilton (March 28) over the next two weeks. 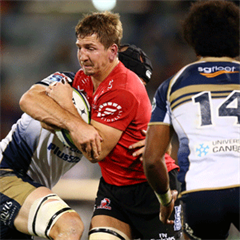 They will also face the Brumbies in Canberra (April 4) and Force in Perth (April 11). 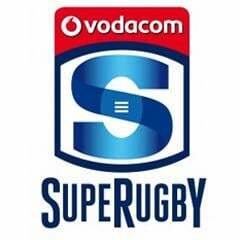 This will be a difficult task for the Bloemfontein team, who started Super Rugby with back-to-back wins over the Sharks and Blues, but suffered recent losses to the Bulls and Sharks at home. However, Van Dyk said the team remains motivated and focused on returning to winning ways. “We’ve adapted well since arriving in New Zealand. We’re staying at a place called Clearwater, which is really nice,” Van Dyk told MyPlayers.co.za.”It’s not easy when you travel into a different time zone, but we adjust our watches and take melatonin pills to overcome the jet lag ahead of our game against the Crusaders, which will be a tough challenge. Van Dyk, who is one of the few Griquas players in the Cheetahs squad, has made two appearances off the bench this season, providing tighthead prop cover. The former Junior Springbok has entered his second season of Super Rugby, and hopes to offer the team some value on tour over the next four weeks.